determining how to effectively translate global projections of absolute sea level rise down to regional and local scales in practical terms that will aid coastal managers and engineers inform flood and erosion risk-based management and for future planning. In this regard, he is interested in all aspects of sea level variations from time scales of minutes (ocean surface waves), hours (seiches, tides), days (storm surges), through to longer term changes (seasonal, inter-annual and longer-term changes in mean sea levels, lunar tidal cycles). He has experience in assessing observational datasets (i.e. tide gauge records, wave buoy data) and tide/surge and wave numerical modelling for short (forecasting, navigation) and long (coupling with climate models to assess past/present and potential future changes in storm surges, extreme sea levels and coastal flooding) term applications. 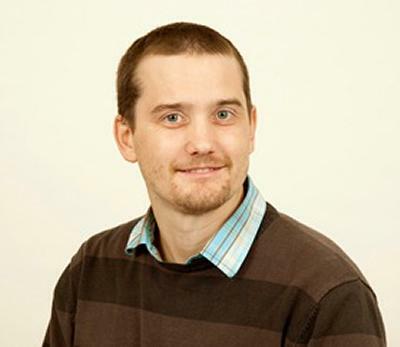 Ivan is currently the Principal Investigator/Co-Investigator of two major research projects. He leads the NERC-funded iGlass consortium project (2011-2015) which is using interglacials to assess future sea-level scenarios. Ivan leads the Southampton component of the EPSRC-funded Flood MEMORY consortium project, led by Newcastle University. The overall project aim is to investigate the effects of temporal clustering of flood events on natural built and socio-economic systems with memory, in order to identify critical vulnerabilities, better allocate resources for protection and recovery and improve flood resilience. Ivan also is actively involved in several projects with DHI, UNESCO-IHE, the Australian Department of Climate Change and the New South Wales Office of Environment and Heritage. In regards to teaching, he is the co-director (together with Robert Nicholls) and admissions officer of the MSc Engineering in the Coastal Environment. This programe is uniquely provided jointly by academics from the Faculty of Engineering and Physical Sciences, based at Highfield Campus and Ocean and Earth Science, based at the National Oceanography Centre. The programme is strongly linked to industry and focussed on applied issues in the coastal zone. The overall goal is to educate technically-orientated coastal practitioners for suitable employment in coastal engineering, both in consultancies and relevant areas of government. In the last 12 years Ivan has worked on a wide range of projects in both industry and academia covering many different aspects of coastal oceanography, with a particular focus on sea-level rise and coastal flooding. After graduating from the University of Southampton in 2001, having studied oceanography and maths, he worked for 5 years as a numerical modelling consultant at ABP Marine Environmental Research. During this time he led several projects for the Environment Agency, looking at coastal flood risk along the UK south coast. He then undertook a PhD at the University of Southampton examining sea-level rise and extreme events around the UK. He then was a research assistant professor at the Oceans Institute at the University of Western Australia, primarily assessing past and potential future changes in sea level and variability around Australia and worldwide. In April 2012 he joined the National Oceanography Centre Southampton as a lecturer in Coastal Oceanography with the University of Southampton. Ivan is also an Adjunct research fellow at the UWA Oceans Institute, University of Western Australia. Application of the above to coastal engineering and management. Affiliate research groups: Geology and Geophysics, Coastal Processes, Coastal Engineering and Management. Co-director (together with Robert Nicholls) and admissions officer of the MSc Engineering in the Coastal Environment. Huthnance, J., Weisse, R., Wahl, T., Thomas, H., Pietrzak, J., Souza, A. J., ... Woodworth, P. (2016). Recent change - North Sea. In M. Quante, & F. Colijn (Eds. ), North Sea Region Climate Change Assessment (pp. 85-136). (Regional Climate Studies). Cham, CH: Springer International. Karunarathna, H., Brown, J. M., Briganti, R., Pockrajac, D., Haigh, I., Beck, C., ... Wadey, M. (2014). Modelling memory of coastal flood systems. In Proceedings of 34th Conference on Coastal Engineering, Seoul, Korea, 2014 (pp. Paper-management.19). (Coastal Engineering Proceedings; No. 34). Reston, US: Coastal Engineering Research Council. Gallop, S. L., Bosserelle, C., Pattiaratchi, C. B., Eliot, I., & Haigh, I. D. (2012). The influence of calcarenite limestone reefs on beach erosion and recovery, from seconds to years. In P. Lynett, & J. McKee Smith (Eds. ), Proceedings of the 33rd international Conference on Coastal Engineering 2012 (pp. sediment.71-15pp). Reston, US: Coastal Engineering Research Council. Bosserelle, C., Haigh, I. D., Pattiaratchi, C., & Gallop, S. L. (2011). Simulation of perched beach accretion using smoothed particle hydrodynamics. In Coasts and Ports 2011 : Diverse and Developing: Proceedings of the 20th Australasian Coastal and Ocean Engineering Conference and the 13th Australasian Port and Harbour Conference (pp. 79-83). Barton, ACT, AU: Engineers Australia. Aldridge, T., Gunawan, O., Forder, K., Rastall, P., Gouldby, B., Hames, D., ... Haigh, I. (2017). National Risk Assessment: Coastal Flooding Impact Analysis. Methodology Report. London: Defra Flood Management Division.